The First Battle of Panipat was fought between the invading forces of Babur and the Lodi Empire, which took place on 21 April 1526 in North India. It marked the beginning of the Mughal Empire. This was one of the earliest battles involving gunpowderfirearms and field artillery. In 1526, the Mughal forces of Babur, the Timurid ruler of Kabulistan, defeated the much larger ruling army of Ibrahim Lodi,Sultan of Delhi. 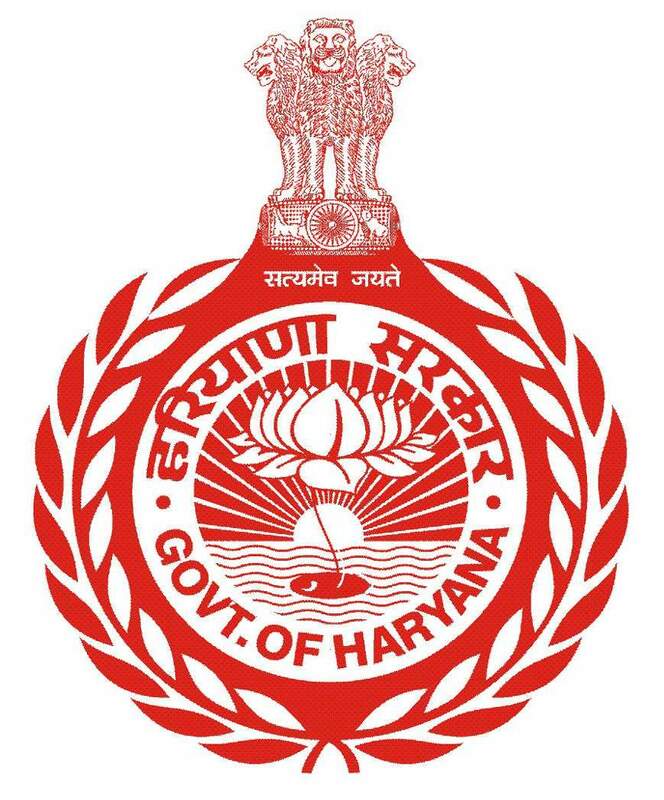 The battle was fought on 21 April near the small village of Panipat, in the present day Indian state of Haryana, an area that has been the site of a number of decisive battles for the control of Northern India since the twelfth century. It is estimated that Babur’s forces numbered around 15,000 men and had between 20 to 24 pieces of field artillery. Babur estimated Lodi had around 100,000 men, though that number included camp followers, while the fighting force was around 30,000 to 40,000 men in total, along with at least 1000 war elephants. It is generally held that Babur’s guns proved decisive in battle, firstly because Ibrahim Lodi lacked any field artillery, but also because the sound of the cannon frightened Lodi’s elephants, causing them to trample Lodi’s own men. However a reading of the contemporary sources show that more than the gun, it was the tactics which helped in winning the day. 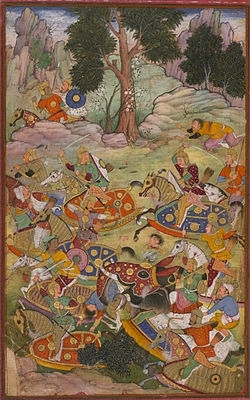 The new war tactics introduced by Babur were the tulughma and the araba. Tulughma meant dividing the whole army into various units, viz. the Left, the Right and the Centre. The Left and Right divisions were further subdivided into Forward and Rear divisions. Through this a small army could be used to surround the enemy from all the sides. the Centre Forward division was then provided with carts (araba) which were placed in rows facing the enemy and tied to each other with animal hide ropes. Behind them were placed cannons protected and supported by mantelets which could be used to easily manoeuvre the canons. These two tactics made Babur’s artillery lethal. The guns and cannons could be fired without any fear of being hit as they were shielded by the bullock carts which were held in place due to the hide ropes holding them together. the nozzle of the heavy cannons could also be easily changed as they could be manoeuvered by the mantelets which were provided with wheels. Ibrahim Lodi died on the field of battle, abandoned by his feudatories and generals (many of whom were mercenaries). Most of them changed their allegiance to the new master of Delhi. However had Sultan Ibrahim survived another hour of fighting he would have won, as Babur had no reserves and his troops were rapidly tiring.